Consumers are less likely to buy large pieces of gold jewellery in India this year, senior bullion dealer, Oliver Temple at Gold Investments has warned. Gold Investments – based in the City – is one of the oldest bullion traders in the UK and specialises in Asian markets. Temple believes sales for gold jewellery for larger pieces in India will this year be lower. Traditionally, in the run up to Akshaya Tritiya demand for the precious metal increases. The festival is one of the key times of the year when gold jewellery is bought. This year, however, Temple says Indian jewellers are fearing that higher taxes imposed by the Government there and a heavy rainy monsoon season may put buyers off. “The Indian Government imposed a 1% tax on gold jewellery in March which caused uproar amongst dealers. Temple says that whilst there may be a fall in sales for larger pieces of gold jewellery in the country, smaller items will still be purchased such as gold chains and bangles because of the precious metal’s importance for many. India is the second largest importer of gold in the world. In 2015, over 900 tonnes were imported into the country. In the UK, gold prices have been increasingly generally since the start of the year. 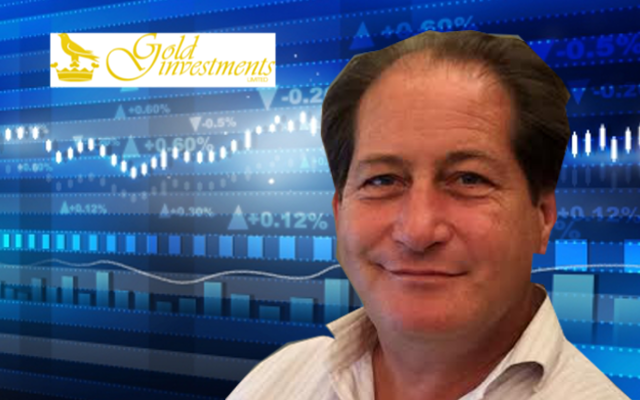 “What we are seeing over here is that investors who have held back purchasing the precious metal up until now, are now moving towards gold and pushing demand up. Investors are nervous over the world economy – gold is traditionally seen as a safe haven during economic uncertainty. A combination of falling stocks, low oil prices and a possible Brexit are all having an effect,” says Temple. Some of the biggest names in the hedge-fund industry met last week at the Sohn Investment Conference in New York to discuss markets which are moving. Billionaire investor Stanley Druckenmiller advised buyers to move to gold. For free gold price alerts click here.